We found your website to be clear. Using your service has saved me thousands of dollars. 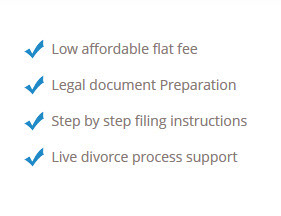 I love the online divorce process. You can get a speedy divorce at great prices!!! Everything was explained thoroughly on your website and I had no problems with the initial process of getting things started. Easy to use, quick process and very reasonably priced.